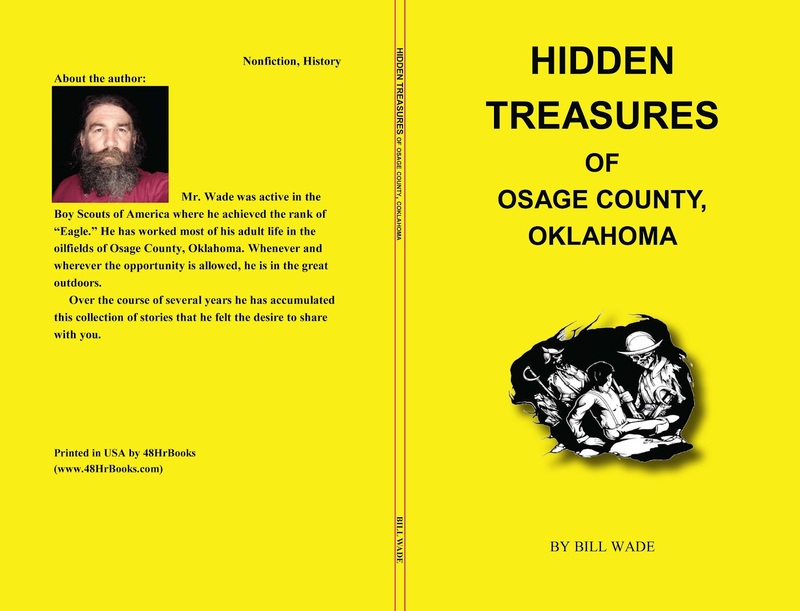 It's been a long time since any new treasure book concerning Oklahoma has been published and it has been a great honor to read and review a book written by Bill Wade. Hidden Treasures of Osage County, Oklahoma is a collection of stories ranging from Spanish treasure to 1930's gangsters. 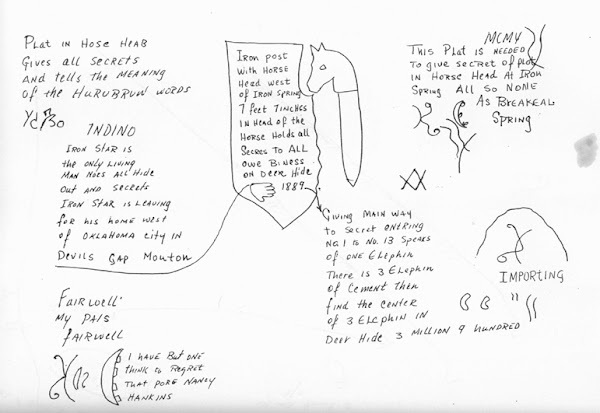 A few of the stories I was familiar with, but even then Bill would add some additional information that I wasn't aware of. His insight into the treasure tales of Osage County can only come from a person who has spent years living in the area, researching, and talking with the old-timers that unfortunately are no longer around. 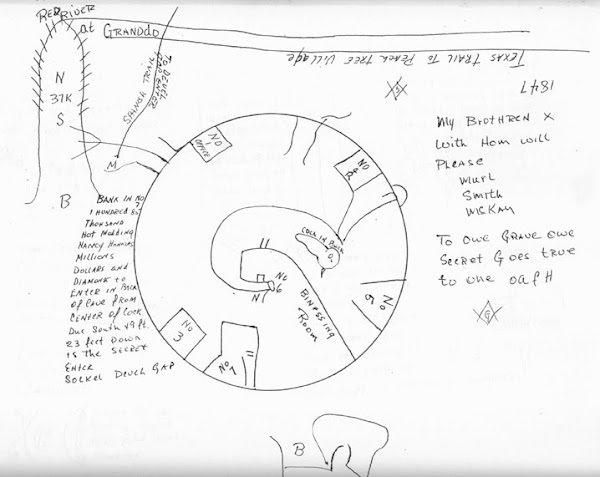 Though only vague directions and details are given for most of these stories a serious treasure hunter could in fact put themselves on the trail to hidden fortunes with some additional research. I can also relate to how hard it is to write about treasure and not give so many details away that some other hunter swoops in and makes the find themselves. It wouldn't be treasure hunting if all the information is gift wrapped and handed to the reader. Another thing I really enjoy about this book is how Bill brings to the forefront an often overlooked part of the Sooner States history, "the Spanish".. These great explorers were traveling through and mining for mineral wealth in Oklahoma for centuries. I have documented a number of sites myself and look forward to a visit with Bill to take a look at his part of the state. I may even let him know about an area to the east of me in McClain County. Bill is selling the book for $12 and $4 shipping. It's well worth the price. For those who would like to meet Bill and get an autographed copy he has a tentative date set for a book signing at the Osage County Historical Museum in Pawhuska on April 14th 2012 from 1:00 to 3:00 pm. If I can get free I think I'll make a trip to see Bill myself on that day. http://www.youtube.com/watch?v=02fZZTtAHbk This would make for a good day of metal detecting! I stole this from my facebook page (Thanks Chuck) This happens to be one of my favorite songs. I know it has nothing to do with treasure, but it will brighten your day and that has to be worth something. I always enjoy watching fellow Okies out in the field finding their own versions of treasure.